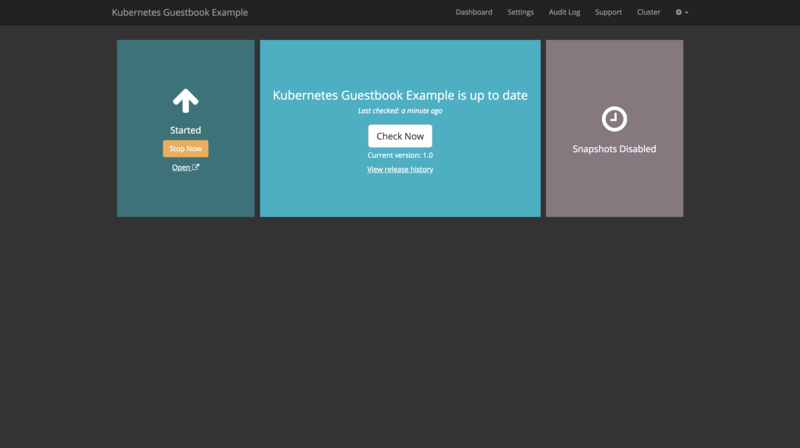 This guide will give you first-hand experience installing a Replicated Kubernetes appliance and the Guestbook application. 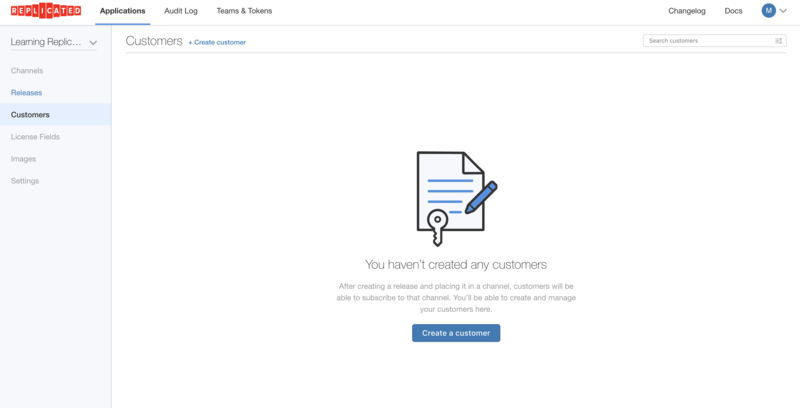 If you haven’t yet created the Guestbook application, head back to the Create and Promote as Release guide and complete that first. 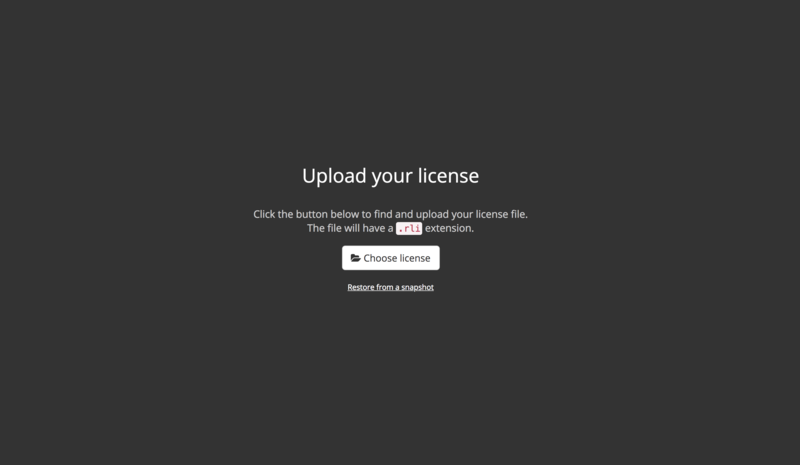 Now that we’ve created a release and promoted it to the Unstable channel, the next step is to create a customer license and use this this license to install the application on a test server. You should be able to select the defaults for any prompts that are presented. Once the installation script is completed, it will show the URL you can connect to in order to continue the installation. 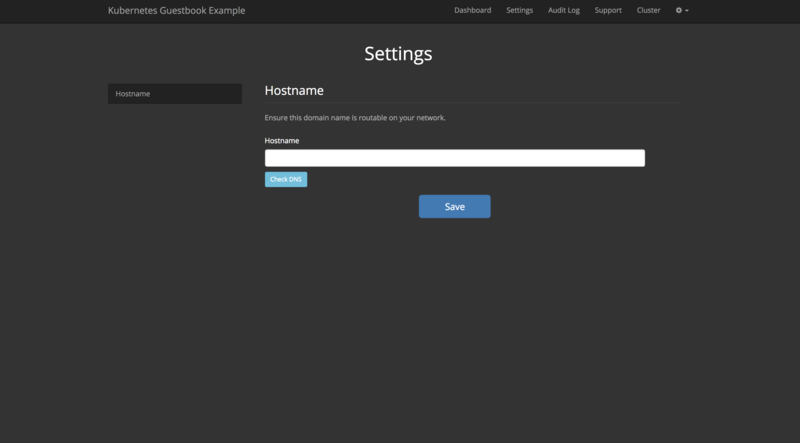 This install script will install Docker, Kubernetes and prepare the server for your application (the Guestbook in this case). 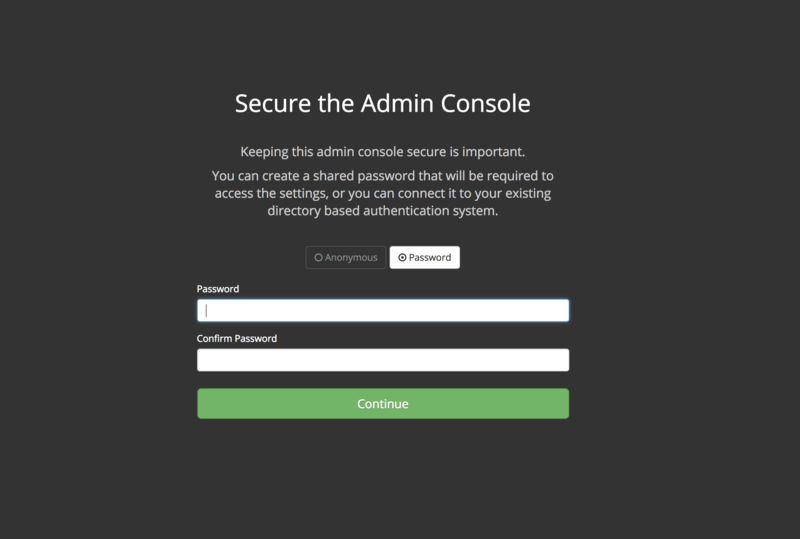 At this point, Replicated and Kubernetes are running, but the Guestbook app isn’t yet. To complete the installation, visit the URL that the installation script displayed when completed. 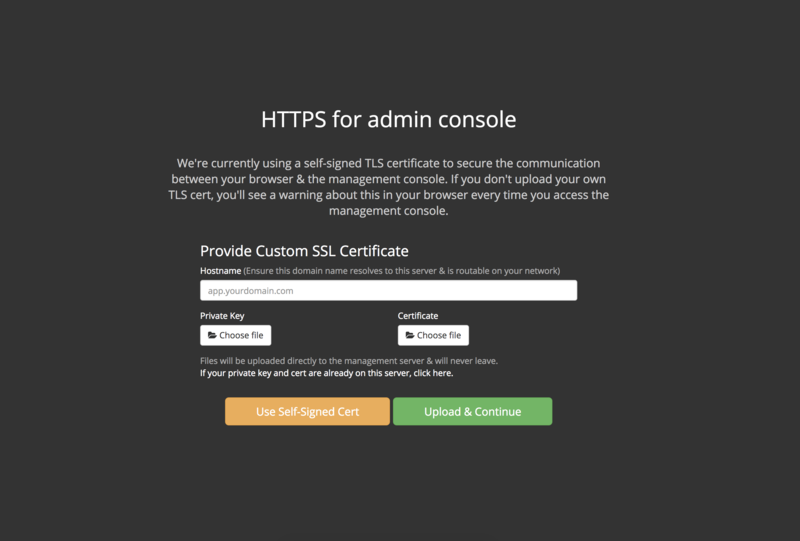 Replicated automatically provisions a self-signed certificate on every installation, so you’ll have to accept this cert to continue. We recommend that every installation change this to a trusted cert, and that can be completed in the browser, at the next step. Preflight checks are designed to ensure this server has the minimum requirements and environment to run the application. 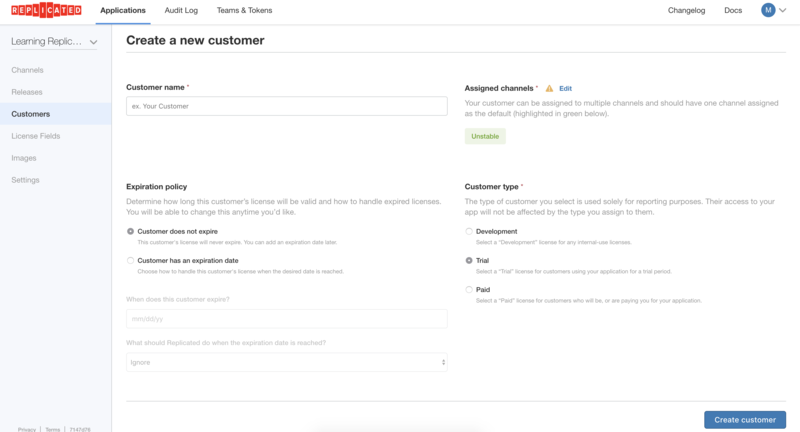 We didn’t choose any additional requirements when deploying the Guestbook, so this is the default Replicated requirements. Everything should pass, so click Continue to proceed. Click the Dashboard link on the top to see the default, most basic Replicated installation with Kubernetes possible running. 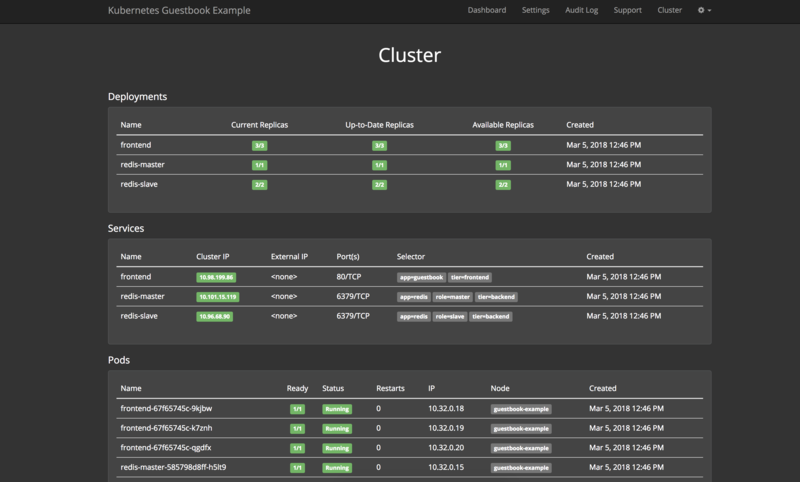 If you are still connected to this server over ssh, kubectl get pods --all-namespaces will show a few pods, including the Guestbook services we just deployed. On the top nav, there’s a link to the /cluster page. Clicking that will show you the Kubernetes services that we just deployed. In the next guide, we’ll walk through creating and delivering an update to the application we just installed.